A group of investors led by SoftBank and Toyota is in talks to invest $1 billion or more into Uber's self-driving vehicle unit, which would value the unit at $5 billion to $10 billion, said two people familiar with the talks. 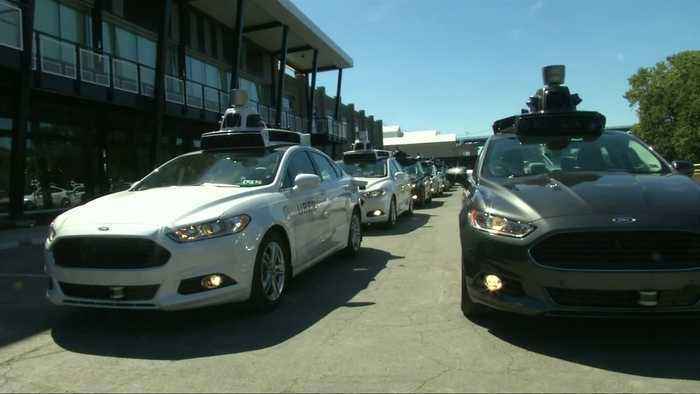 Uber's self-driving unit might be set for a billion dollar cash injection. 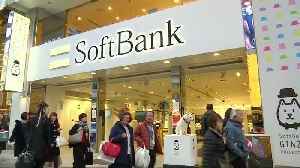 At least that's if talks pan out with a group of investors including Softbank and Toyota. Two Reuters sources said the investment of a billion dollars or more could value Uber's self driving project at between 5 and 10 billion dollars. 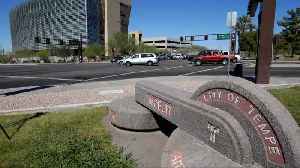 It would come even though that project is burning hundreds of millions of dollars without earning Uber any revenue. Uber and Softbank declined to comment, and a Toyota spokesman said they don't have anything to announce. However according to a Wednesday (March 14) report in the Wall Street Journal, a deal could be reached by next month. The cash boost might be critical. As Reuters Sam Nussey explains from Tokyo, Uber's trying to keep up with an industry chasing autonomous cars. 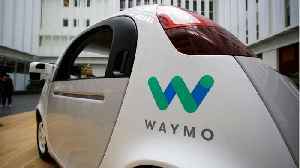 (Soundbite) (English) REUTERS TECHNOLOGY CORRESPONDENT SAM NUSSEY, SAYING: "The challenge of creating self-driving cars we're seeing a huge number of players creating alliances and partnerships, players you wouldn't normally see co-operating, like Toyota and Softbank. Softbank has invested a huge amount of money in most of the ride-hailing firms around the world. 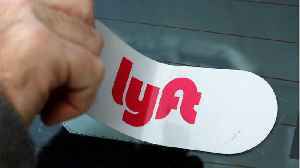 And it's very clear that it sees ride-hailing not only as a way of, a cheaper way of calling a taxi, but that these are really going to be the platforms that drive the economy of the future. And for cars, auto makers, this is a really unprecedented sense of crisis that they have. They're potentially facing becoming a kind of commoditized product, and they really need to be much more pro-active in getting ahead and ensuring that they are a central part of driving, or what they now call mobility services." And while that vision of future mobility might be what's driving such big investments, there's still a lot of problems to solve. 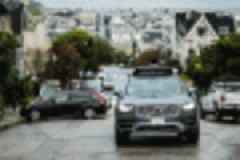 (Soundbite) (English) REUTERS TECHNOLOGY CORRESPONDENT SAM NUSSEY, SAYING: "The question of how to create self-driving cars is already one that people knew was going to be difficult. But what we're seeing really now is more uncertainty and perhaps more of a realization that this really is more difficult than even people thought it was going to be. And Uber has been putting a lot of energy into developing self-driving cars, it's already seen as being a bit behind in the industry, you've got players like google who obviously have all of their technology focused on this task." 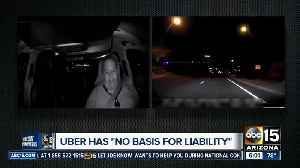 Uber lost more than 3 billion dollars last year and is betting on self-driving technology to eliminate the need for paying human drivers. 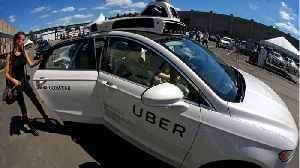 Uber has raised $1 billion in fresh capital for its Advanced Technologies Group, which is developing self-driving cars, according to Business Insider. 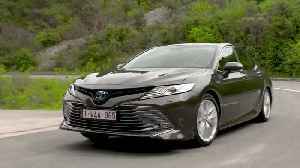 Strengthening Toyota's presence in the D/E sedan segment, the new Toyota Camry Hybrid represents a unique offer thanks to its powerful, self-charging hybrid electric powertrain. The new sedan expands.. 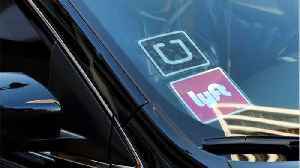 According to Reuters.com, "Uber Technologies Inc believes it will take a long time for self-driving cars to be used at scale but the technology will save lives..." Still many companies are passionate..
A group of investors led by SoftBank and Toyota is in talks to invest $1 billion or more into Uber&apos;s self-driving vehicle unit, which would value the unit at $5 billion to $10 billion, said..